Little is known about Daniel Williams's family origins or early life. He was probably born in Wrexham in 1643. Although intended for the ministry his education was interrupted by the Restoration of Charles II and the Act of Uniformity (1662). After a few years preaching in England he became a chaplain in Ireland. He was then minister at Wood Street, Dublin, for twenty years. In 1687, as religious tensions heightened and believing his life to be in danger, he fled to London where he quickly gained an influential place amongst the London Presbyterians. In many ways it was an extraordinary achievement since he was largely unknown. Williams was to benefit from the removal of the previous generation through death or retirement. Though circumstances may have favoured Williams, it was his own abilities that brought him to public notice and gained for him a leading role. He demonstrated his political skills and public leadership particularly during the difficult years of Queen Anne's reign. In June 1711 he made his will in which he established his Trust, devoting the majority of his estate to charitable uses. After specific bequests to St Thomas’s Hospital, the University of Harvard, and to support missionaries in Scotland, Ireland, and New England, he established a Trust for 2000 years for religious and educational purposes. The provisions for the Library which bears his name were modest, and his trustees were largely responsible for the setting up of the Library in Red Cross Street in 1729. 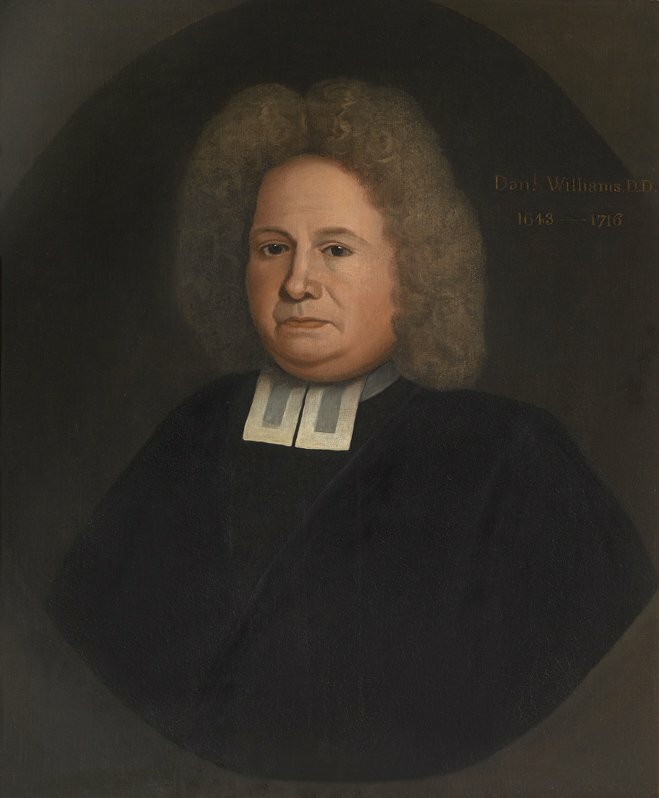 For further information see the entry in the Oxford Dictionary of National Biography for Daniel Williams by David L. Wykes, ‘Williams, Daniel (c.1643–1716)’.